If you are in the market for an excellent travel points credit card that comes with a strong earning potential, flexible rewards and a great suite of insurances and benefits then one of the last year's strong entries into the Canadian Travel Rewards Credit Card market then the Scotiabank Gold American Express Card could be the right choice for you. 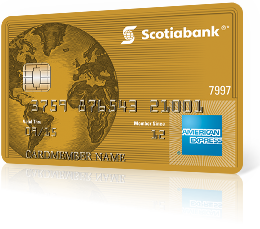 However now that the card is past its introduction phase and is becoming established Scotiabank will be removing the 20,000 Scotia Rewards points bonus at the end of day on March 31 and replacing it with a 15,000 point sign up bonus. This results in a loss of $50 when you apply for the card (20,000 points = $200 travel credit so 15,000 = $150). If this card interests you I would suggest you apply for it over the next 5 days to ensure you get the higher sign up bonus. To learn more about this card you can read my initial post on it when it was first released back in September 2012.